I missed out writing a frugal things for October, time got away from me and before I knew it we were already in November. 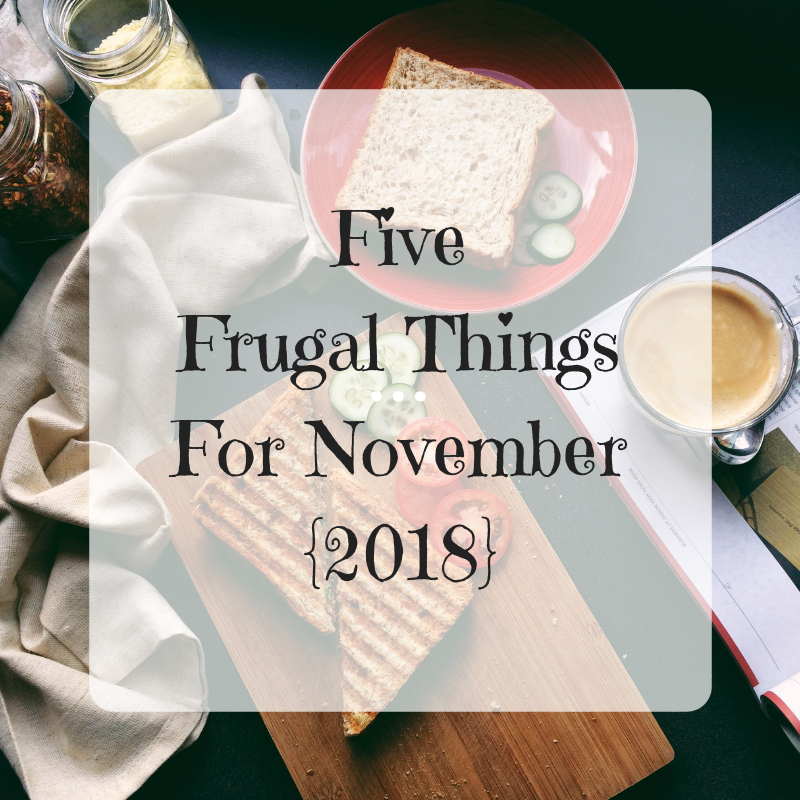 I find myself at the end of November just as quickly so I thought I better get my five frugal things post written. This time of year is always more expensive not only because of Christmas approaching but because we also have birthdays to celebrate too. 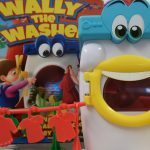 Last month was a super frugal month and thanks to that we had a bigger budget to play with in November. 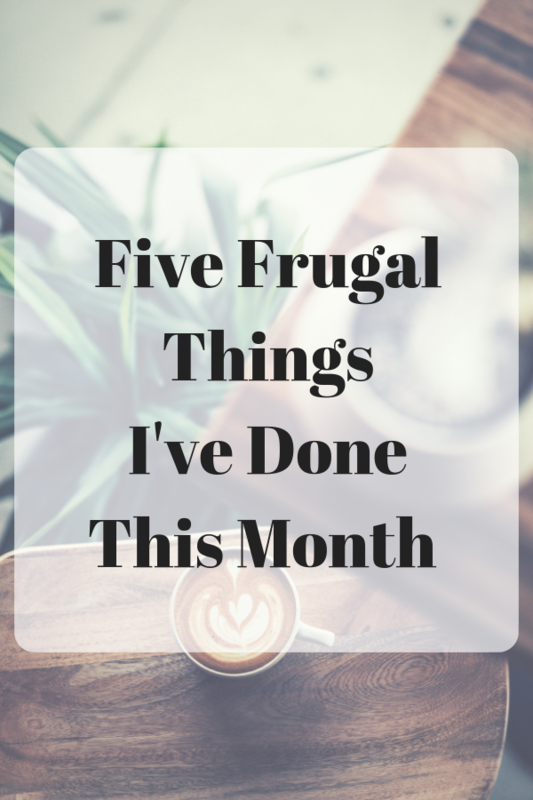 I might have had to spend more money this month but I’ve looked for ways to save money at the same time. 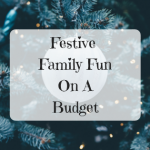 I know I’ve said it lots of times before but being frugal for us as a family means making small savings where we can so we can afford some fun activities and days out. Frugality means something different to everyone and that’s perfectly okay. This month I have done a lot my Christmas gift buying online, one reason is because it saves me so much time and the other is the savings I can make. Before buying anything I check if I can get cashback through either Top Cashback or Quidco. Both of these websites have been running extra cashback incentives this month which means I’ve made even more money on top of the usual cashback rates. Of course it’s not available immediately but it will be a nice little bonus for the new year. Another thing I’ve done while shopping online is to look for free delivery codes or special discount days. I don’t think anything has cost me full price this year which makes me very happy indeed. Despite the temperatures falling we are still managing our energy consumption really well. I’m at home most of the day by myself so instead of putting the heating on I’ve been working upstairs under my duvet and lots of layers of clothes. I have a blog post called 5 Ways To Keep Warm In Your House Without Heating so I’ve been taking my own advice and implementing some of my tips. 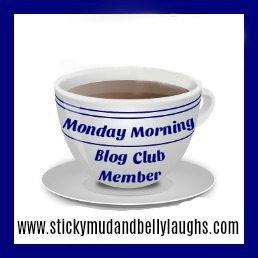 During November and December I usually slow down on taking blog work on. I prefer instead to turn my hand to online earning in the form of completing surveys, taking part in focus groups and mystery shopping. The last two months have proved lucrative with the surveys coming in thick and fast, I only do the higher paid ones nowadays so they are well worth my time. I’ve been able to cash out several of my good earning sites and pay for Christmas presents, refreshing our Winter wardrobes and buying things for the house. Admittedly this type of work isn’t for everyone but I’m years in and still going strong. I’ve been visiting our local charity shops regularly to look for clothing as well as books (we all have our weak spots and books are mine) and I’ve scored some real bargains. I got a brand new with tags dress for myself from Next for £6 I think, the original price was £34 ! I also picked up some bargain 49 pence super hero t-shirts for Jake and a gorgeous thick wool Batman jumper for £1 for Daisy. My favourite charity shop sells books at 5 for £1 and I’ve picked up some mega bargains including a book that still in the book charts ! I love charity shops, I get to indulge my love of shopping, give to a good cause and score bargains, it’ a win win situation. Each week when I go grocery shopping I put a couple of extra meals in my trolley, this means that one week of the month we end up not needing to buy any meals. This especially comes in handy over the festive season as it means I can spend some of our grocery budget on seasonal treats for Christmas. It’s so nice to be organised and not having to join the madness of the supermarkets in the run up to the big day itself. To save money on groceries we’ve also been having simple but filling meals like soup and bread, scrambled eggs on toast and jacket spuds. 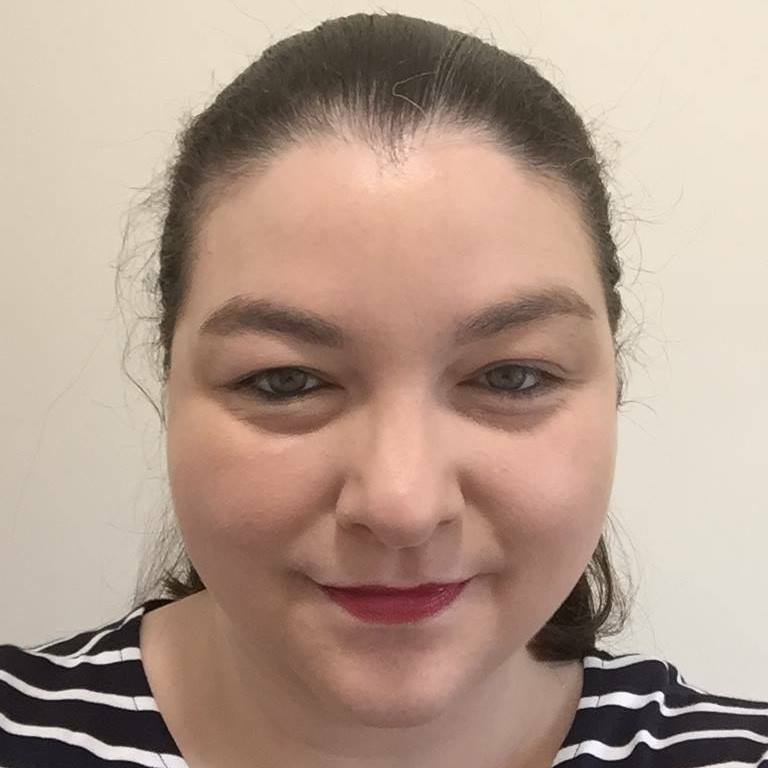 I only recently signed up to a cashback website (I went with Top Cashback) and I just can’t believe I didn’t do it sooner – especially as someone who largely shops online. I’ve been missing out all this time!! Thanks for sharing your tips with regards to stretching your grocery budget to accommodate the big Christmas food shop; this is something I’ve been trying to work on in November, saving a little bit here and there. It all adds up. Happy (soon to be) December!